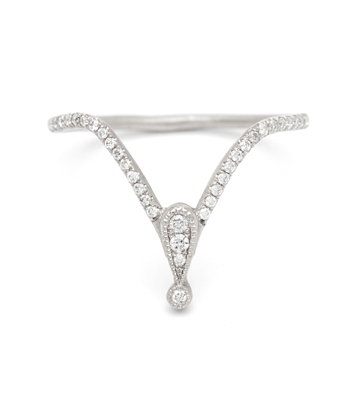 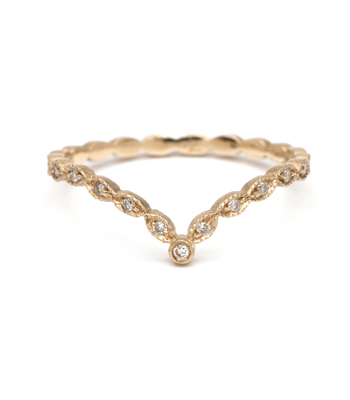 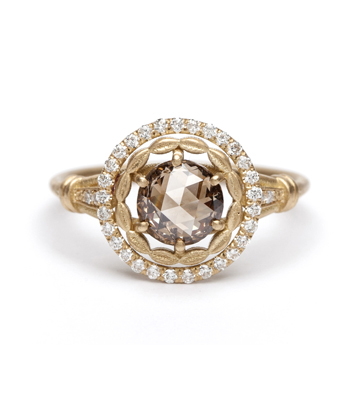 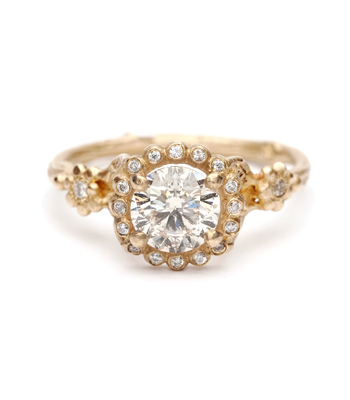 Channel your inner Greek Goddess with this unique and utterly captivating engagement ring. 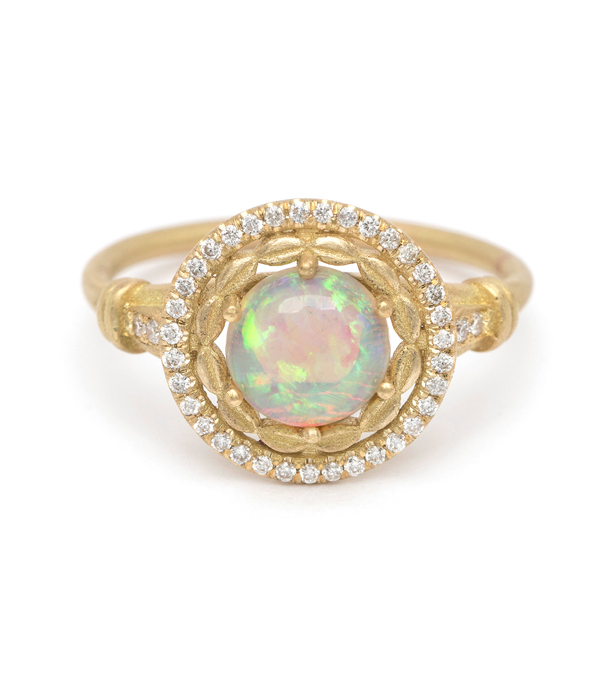 Crafted in solid 18K matte yellow gold, a central 0.82ct Australian light opal is framed by a sculpted leafy halo and a second surround of tiny twinkling diamonds (0.16ctw). 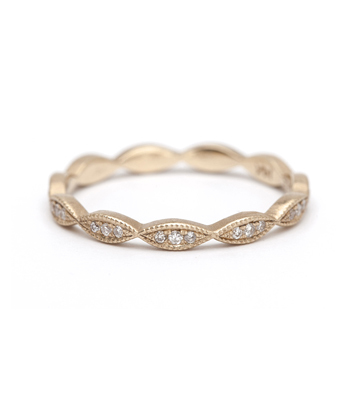 This one-of-a kind ring features both a low profile and larger finger coverage without losing the ability to stack it with your favorite eternity bands. 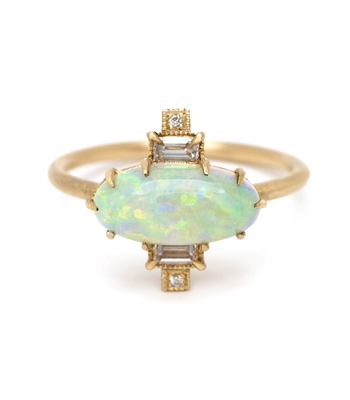 Luminous and ethereal, this delicate beauty is in a class of its own! 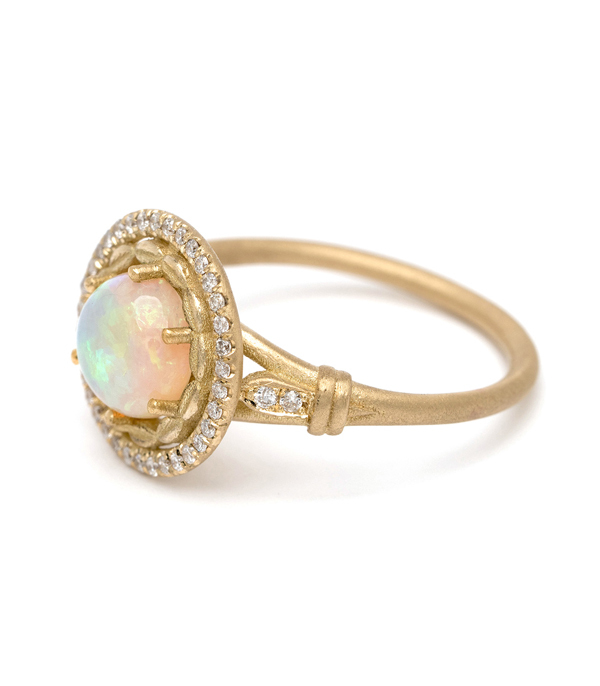 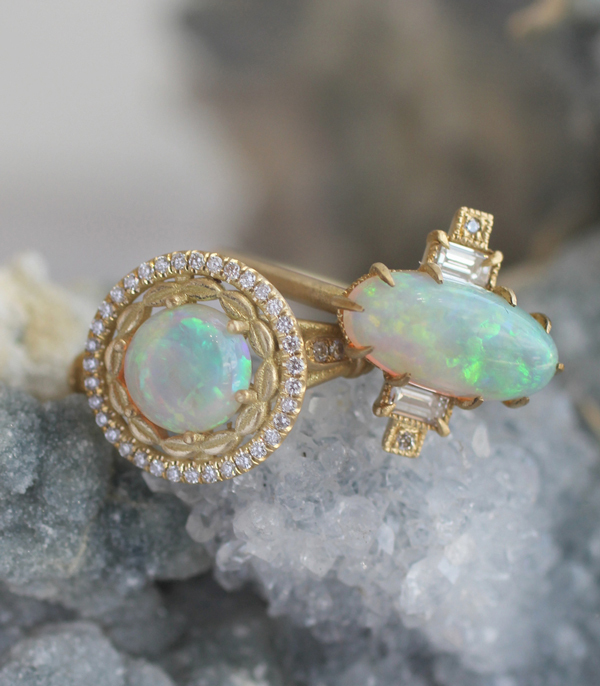 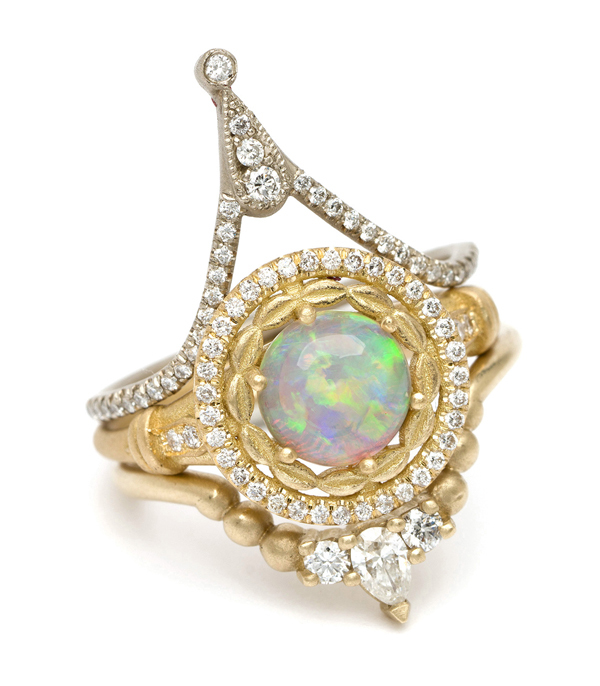 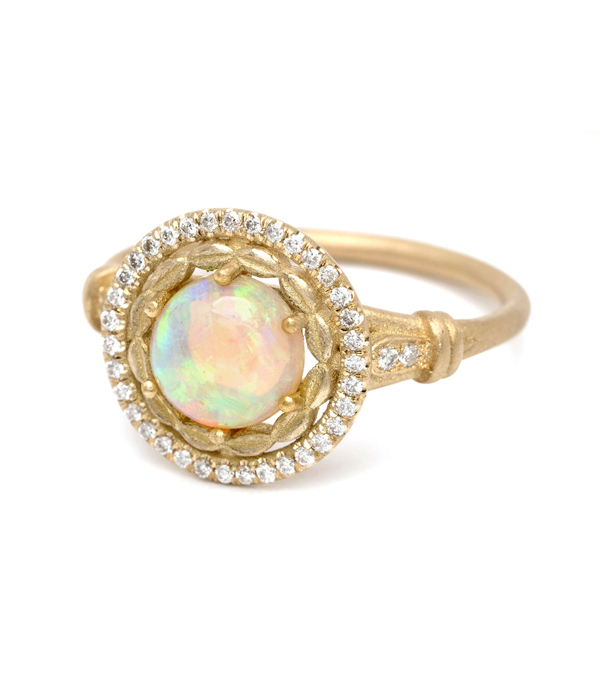 Categories: One of a Kind, Rings, The Opal Edit.